DC Entertainment and Warner Bros. had high hopes in bringing together all of the cinematic versions of the DC Comics heroes for Justice League. This was their answer to Marvel’s Avengers flicks, which are two of the highest-grossing movies of all time. They even brought Avengers writer/director Joss Whedon in to finish the movie up due to original director Zach Snyder having to bow out before filming completed due to the unfortunate death of his daughter. But alas, no one really went to see it. It only made $94 million at the box-office here in the US. It cost $300 million to make. Ouch. This probably means we’re not going to get that Matter-Eater Lad trilogy. The Hollywood Reporter reported the dismal-ish box-office, saying that “Justice League posted the lowest domestic opening of any title in the DC Extended Universe.” More ouch. 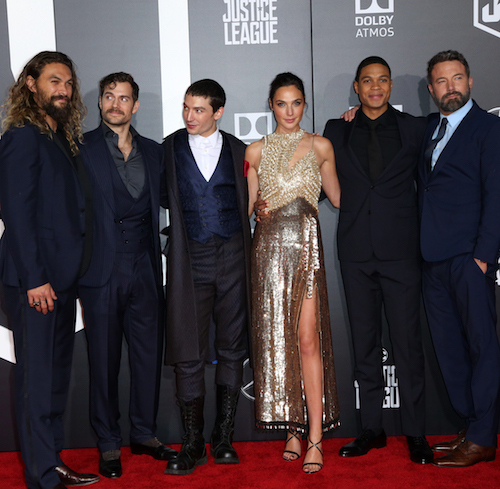 On Sunday, estimates showed Justice League debuting to $96 million, but the final number came in lower. The movie did better overseas, pulling in a grand total of $281.5 million so far. Rotten Tomatoes has given it a 40%, which isn’t great, but an audience score of 85%, which isn’t too shabby. Jeff Goldstein, one of the honchos over at Warner Bros., thinks the film will do better this weekend. Why didn’t it do as well as predicted? Well, despite the movie being acknowledged by critics as a step-up from its predecessor, the mind-numbing, interminable Batman Vs. Superman: Dawn of Justice, they’re still saying it’s just not that great a flick. Justice League leaps over a number of DC movies, but its single bound isn’t enough to shed the murky aesthetic, thin characters, and chaotic action that continue to dog the franchise. It was also outshone by Julia Roberts’ new movie, Wonder. She plays the mom to a kid with a facial deformity who has to adjust to his new school. It looks like that’s the kind of superhero people wanted to see, as it made $27.1 million. Director Stephen Chbosky’s Wonder, which placed second, came in well ahead of expectations after strong reviews and a coveted A+ CinemaScore. The $20 million film adaptation of R.J. Palacio’s acclaimed children’s novel tells the story of a young boy with a facial deformity who attends a mainstream school for the first time (the book spawned the “Choose Kind” movement). Honestly, you can’t basically do the Super Friends movie without Zan and goddamn Jayna and expect a box-office windfall. Gal Gadot can only do so much as Wonder Woman, audiences have no clue who the other three are, and wow, does Ben Affleck obviously not want to be Batman. You should have let the Wonder Twins take the shape of an octopus and form of an “ice unicycle” (?!?) and saved your movie!